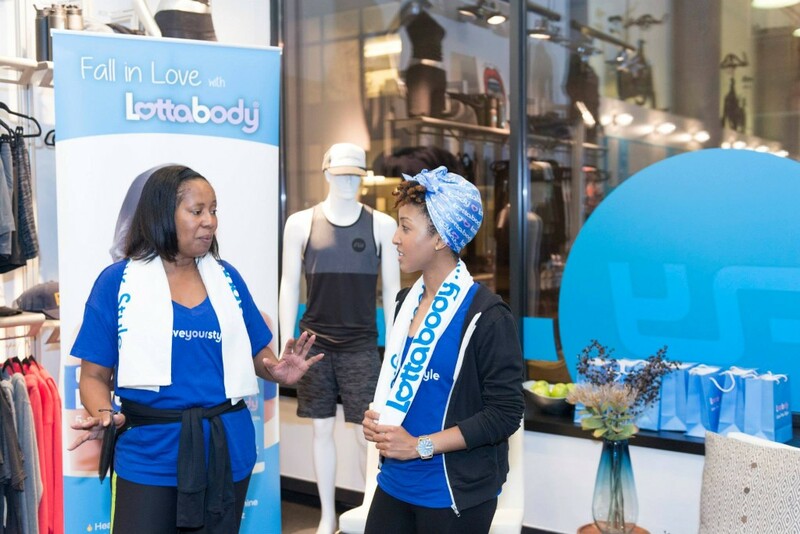 Late last month, Lottabody (Insta: @LoveLottabody), a hair care styling favorite for years and a client of House of Success PR, celebrated the launch of its newest product, the Love Me 5-n-1 Miracle Styling Crème with an event at Flywheel Sports in NYC. The Love Me 5-n-1 Miracle Styling Crème is a hair balm that provides five benefits in one easy step for instant style, protection and a flawless finish. Like the other five products in Lottabody’s Style Collection, which HOS-PR helped launch in June 2014, the all-in-one crème is formulated with a blend of coconut and shea oils. It also contains argan and macadamia oils and panthenol which altogether helps the product detangle and condition, provide thermal protection against heat, add shine and moisture to soften and nourish hair, prevent split ends and tame frizz. Although the product officially hit shelves at beauty supply stores* across the country and in select Walmart, Sally Beauty and Fred’s Super Dollar Stores in March, we wanted to give consumers a chance to get their hands on it so that we could get direct feedback from them about how they were using this product before we moved forward with an event. And of course we were happy to test it out ourselves (a maje perk of doing beauty PR!). After testing out the product in-house, we joked that with all of its benefits the Love Me 5-n-1 was like a high intensity workout for your hair. 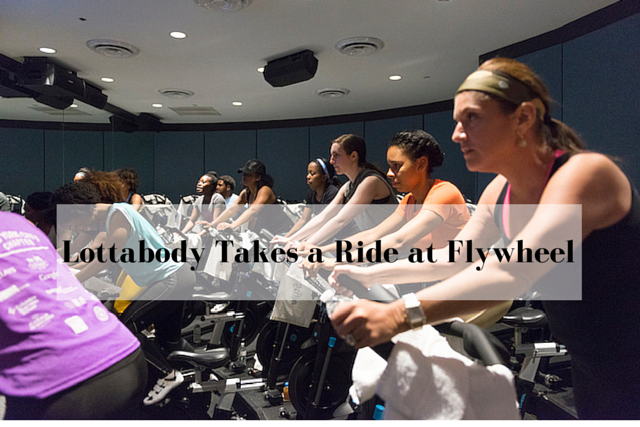 So when we were thinking about what type of launch event we wanted to do, going with an actual high intensity workout at Flywheel Sports was a no-brainer! Space was limited, so for this first event we only invited beauty and lifestyle editors and bloggers (but hopefully we’ll be able to take this event on the road for consumers). 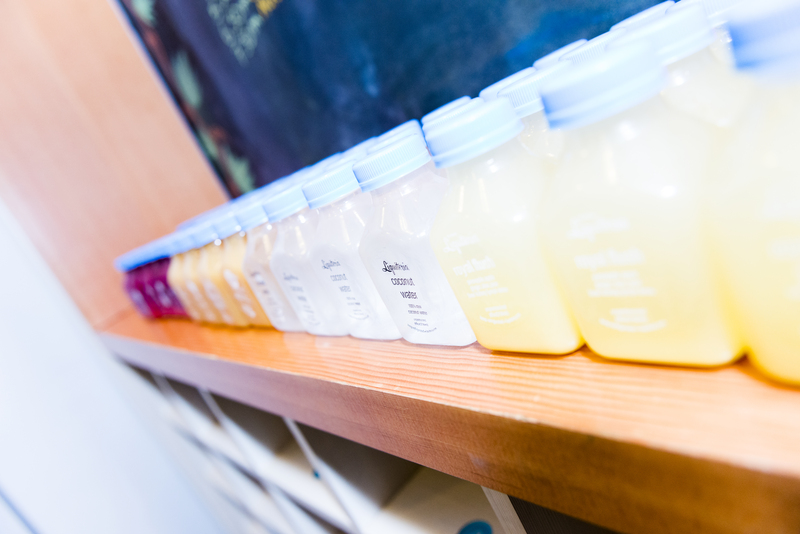 Because this was an after work event we knew that some of our attendees might arrive hungry, so we made sure to provide light snack bars, energy bites and fresh pressed juices from Liquiteria, who catered the event. After the ride we provided a variety of salads and more fresh pressed juice. The ride itself was upbeat and intense. 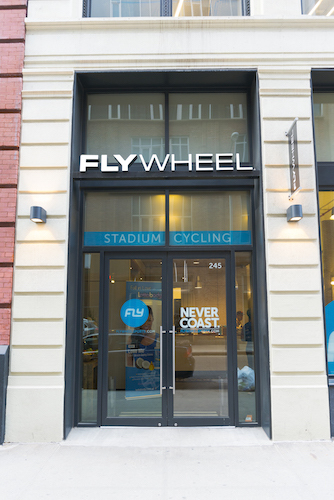 As a first-time rider/indoor cycler, I didn’t know what to expect, but was told that we’d be in good hands with Flywheel instructor Bree Branker. When a mash up of Rihanna’s latest hit ‘B*tch Better Have My Money,’ started blaring through the speakers I knew we were in for a treat. But Bree definitely didn’t take it easy on us; she took us through a series of movements on the bike designed to simulate up- and downhill rides and work out our entire body. The toughest part for me was when we had to ride out of the seat, but I know that after a few back to back rides, it should be a piece of cake. 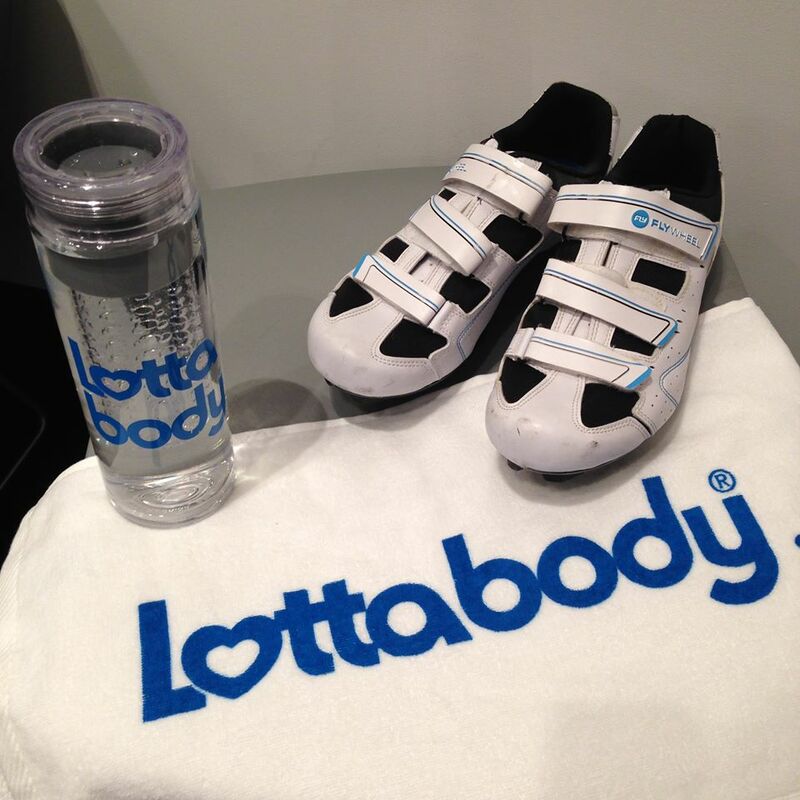 After the ride, Jolorie Williams, Vice President of Multicultural Marketing at Lottabody was available to answer any additional questions about the product and the Lottabody Style Collection. We also handed out our event gift bags which were a huge hit and included a full size Love Me 5-n-1 Miracle Styling Crème, Satin Lottabody Scarf, Lottabody Styling Comb Set, a Lottabody Fruit Infuser Water Bottle, the Lottabody Neck Towel we used during the ride and a handwritten note thanking guests for attending the event. If you’re interested in trying out Flywheel you can get a complimentary ride when you sign up on their site. *You can purchase the new Love Me 5-n-1 Miracle Styling Crème and the full Lottabody Style Collection online right now from Luxe Beauty Supply.